Nursing Kelly is a manikin designed for scenario-based training of the care and management of a wide variety of in-hospital patients. 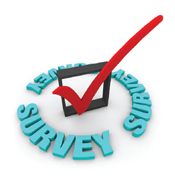 Training includes blood pressure measurement, sounds auscultation, and wound care assessment and management. 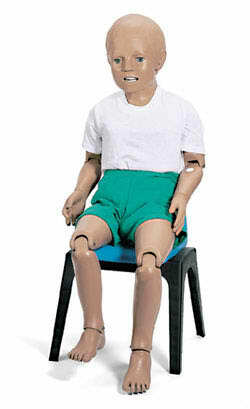 This full-body adult male manikin is perfect for beginning education for in-hospital healthcare professionals. Includes Nursing Kelly Non-VitalSim™ Capable (LG02045U) and Male Wound Assessment Kit (LG02159U). Does not include VitalSim™. Designed for basic patient care simulation, this manikin combines durability with modular design making it the perfect starter manikin. 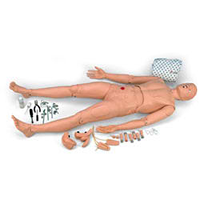 Includes full body, adult male manikin; manikin lubricant; hospital gown; and assembly tool kit. Sophisticated simulator for training in clinical nursing procedures. A variety of exercises may be performed, from simple bandaging and general patient care to breast palpation, catheterization, ostomy management, injection training, and cervical examination. Size: 50" x 24" x 12". The basic Patient Care Manikin is designed to meet the needs of hospitals, nursing homes, and educational facilities in training primary patient care. Made of durable cast-vinyl over a steel cable frame, the lifesize manikin has fully articulated limbs and torso for flexibility. Offers training opportunities in patient handling and transfer; correct positioning in bed, wheelchair, on bedpan, commode, or other hospital equipment. Patient-sensitive bathing techniques and general hygiene procedures are facilitated by the manikin's accurate, interchangeable male-female genitalia and smooth, washable surface. A removable wig permits shampooing. Vinyl skin easily accommodates wound moulages for teaching care of dicubitis ulcers and realism in changing surgical dressings or practicing bandaging. Three-year warranty. 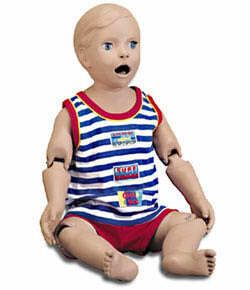 A sophisticated pediatric simulator of a 5-year-old for training in standard and advanced clinical procedures. The realistic face, body, and fully jointed elbows, wrists, knees, and ankles permit the student and teacher to simulate authentic nursing care and medical treatment of the young child. •Comes dressed in a T-shirt and shorts with instruction manual and a soft nylon carrying bag. 32" long.